Russian gas monopoly predicts a record volume of gas supplies to Ankara in 2017. As of now, Russian state energy corporation Gazprom has built about 300 km of the Black Sea gas pipeline Turkish Stream, the head of Gazprom Aleksei Miller said on Thursday. “224 and 74 km have been built. That is about 300 km,” Miller said during the visit of the Russian delegation to Turkey. 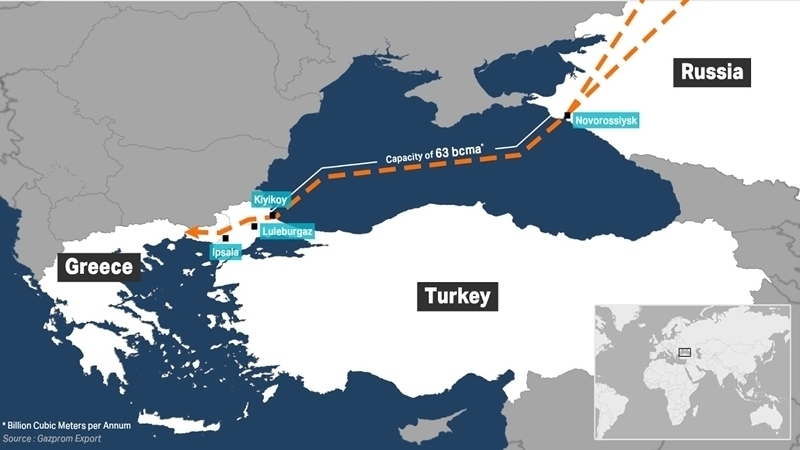 Gazprom is constructing the Turkish Stream gas pipeline through the Black Sea to reduce transit through Ukraine. One string of the Turkish Stream with capacity of 15.75 billion cubic meters of gas per year is intended for the Turkish market; the second one, of the same capacity, is for the market of Central and Southern Europe. The length of each string of the pipeline is over 900 km. The construction of the first string of the gas pipeline should be completed in March 2018, and the second - in 2019. Miller also predicted record gas supplies to Turkey in 2017. “If we compare the period from January 1, 2011 to the present day of 2017 in comparison with the same period in 2016, then the volume of supplies to the Turkish market increased by 24.3%, which is additional 4.1 billion cubic meters of gas per year. This suggests that, apparently, by the end of 2017, Gazprom will establish a historical record of gas supplies to the Turkish market. This is more than 28 billion cubic meters," Miller said. He specified that this figure can be achieved if the growth in the volume of supplies continues. Reportedly, Russian Gazprom is speeding up the construction of the Turkish Stream pipeline because of fears that the extraterritorial sanctions imposed by the United States may eventually undermine this project.